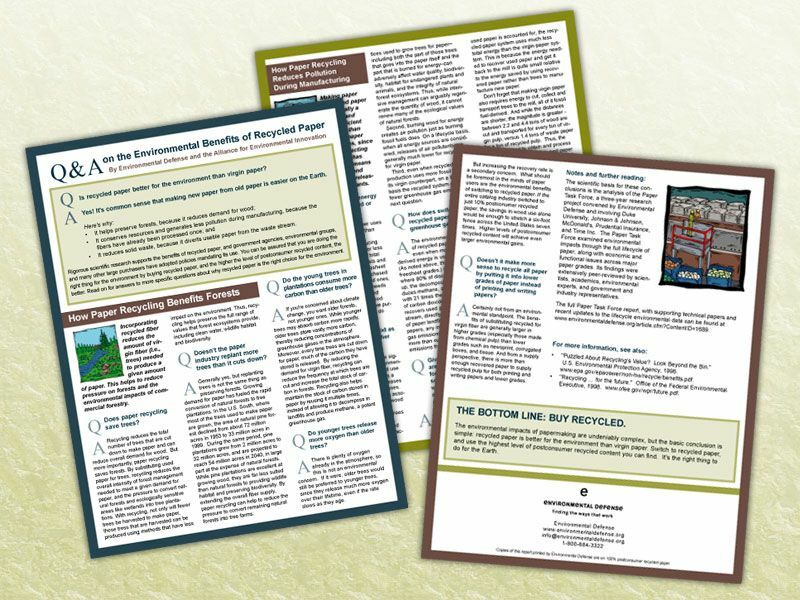 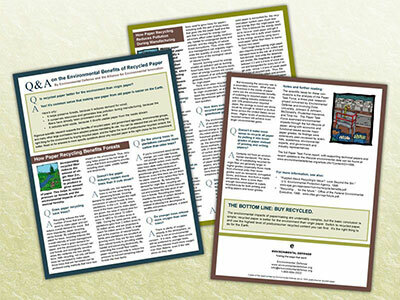 A report brochure published by Environmental Defense Fund to outline the advantages in using recycled paper. 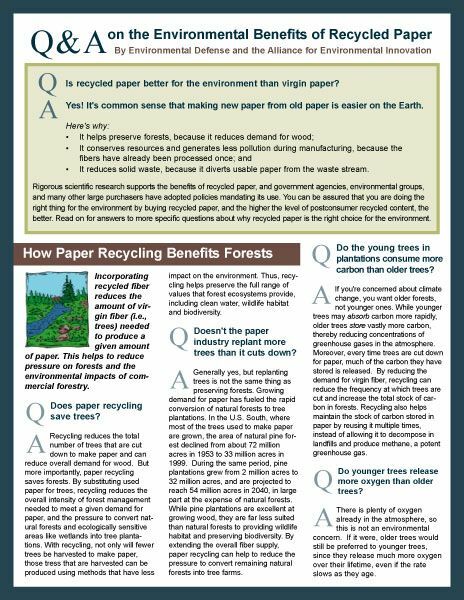 The challenge for this piece was making all of the information fit in the space, and making it engaging and easy to read. 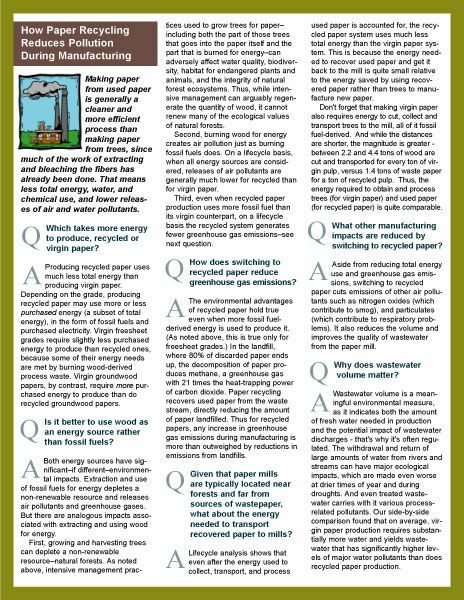 Additionally, the piece needed to be printed on 100% recycled paper (naturally!) 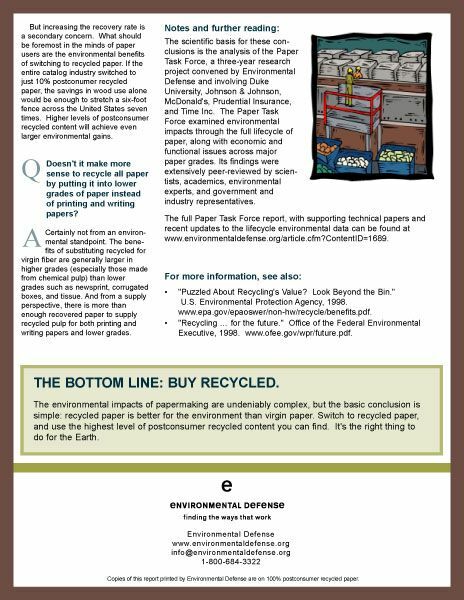 and made available as a PDF for online, paperless reading.